Enjoy a complete ready-to-use chain, suited to your needs, allowing you to collect your data via a private network. Thanks to our wide choice of devices, adaptable to various business applications, the IoT Toolbox will answer to all your needs. To start, choose 3 devices* from our range of products. 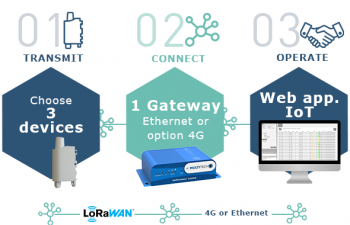 With the Gateway, create a 100% private network to transmit your data via the LoRaWAN private network. Choose the solution best suited to your needs, in 4Gor Ethernet, for the distribution of data on the web interface. Retrieve and operate all of your data, with the adeunis interface or your own tool. 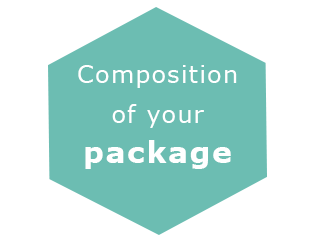 It is up to you to decide how you want your data to be communicated to you.